These pages contain selected memorial inscriptions from the churchyard or interior of All Saint’s Church, Wing. Any bits in brackets I’m not 100% sure of as it’s hard to see in the photos. 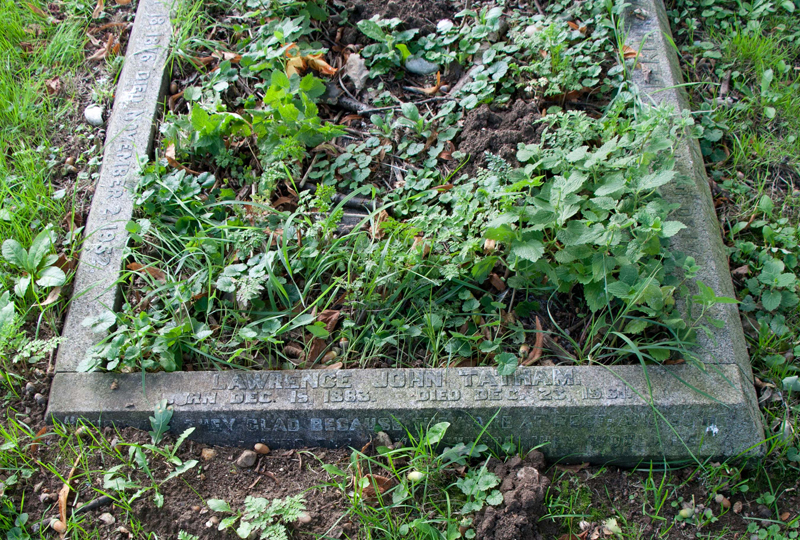 If you’ve visited Wing you’ve probably got photos or notes about the gravestones for your families. If so, please share them by emailing me (the higher the resolution the better). For more surnames, please check the Memorial Inscription Index. 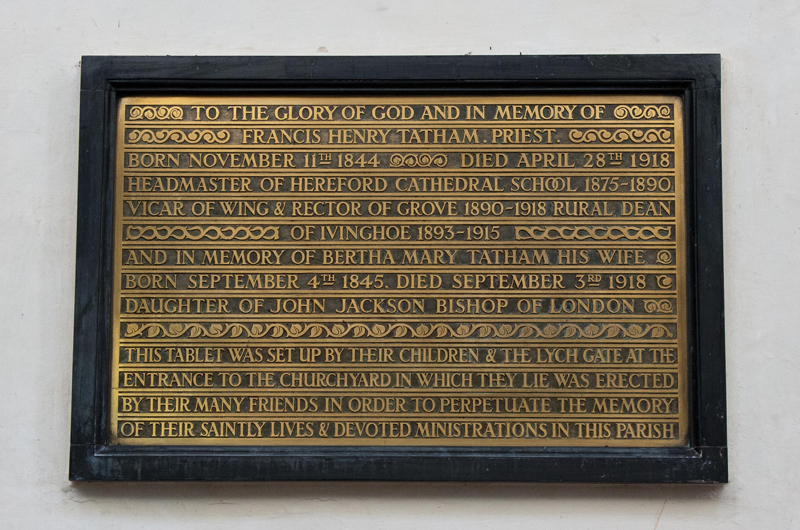 To the glory of God and in memory of Francis Henry TATHAM, priest, born November 11th 1844, died April 28th 1918, Headmaster of Hereford Cathedral School 1875-1890, Vicar of Wing & Rector of Grove 1890-1918, Rural Dean of Ivinghoe 1893-1915. And in memory of Bertha Mary TATHAM his wife, born September 4th 1845, died September 3rd 1918, daughter of John Jackson Bishop of London. 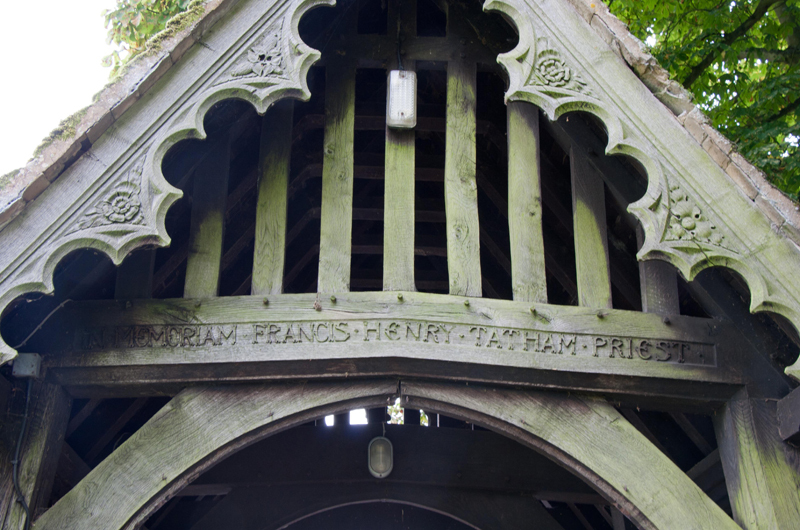 This tablet was set up by their children & the lych gate at the entrance to the churchyard in which they lie was erected by their many friends in order to perpetuate the memory of their saintly lives & devoted ministrations in this parish.